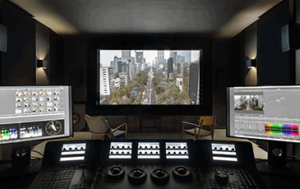 Cinematic Media, a new state-of-the-art post-production finishing facility, has launched in Mexico in response to the exponential growth of film and TV production in Mexico and the rest of Latin America. With YouTube Premium, Endemol Shine and Turner Latin America joining Netflix to produce more projects in Mexico and elsewhere in the region, the need for additional post houses has spiked. It joins the likes of Mexico-based Labodigital, which offers post-production services along with DCP duplication and provision to distributors and exhibition services, including screen calibration and quality systems, digital integration, and image and sound for festivals, among others. 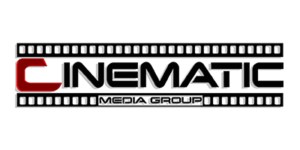 Focusing exclusively on television and cinema content, Cinematic Media offers dailies, look development, editorial finishing, color grading and other services. Managing director Arturo Sedano, who has overseen post-production for such companies as Netflix, Telemundo, Sony Pictures, Viacom, Lionsgate, HBO and FOX, pointed out that Cinematic Media differs sharply from other post-production facilities in Mexico. Resources include a digital intermediate theater with DaVinci Resolve, 4K projection and 7.1 surround sound, four color suites supporting 2K, 4K and HDR, multiple editorial finishing suites, and a Colorfront On-Set Dailies system. Cinematic Media provided finishing services for season two of Netflix’s Kate del Castillo-toplined “Ingobernable,” its first project. Cinematic Media claims to be the first facility in Mexico to feature high-speed connectivity via the private network, Sohonet. This will be used to securely share media with studios, producers and distributors around the world and facilitate remote collaboration among the production and post-production partners.